Cavalier 1.9 GL Coupe on the beach at Black Rock Sands in Wales. 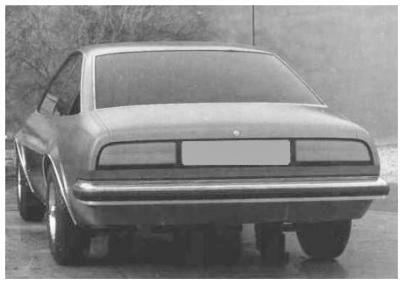 Opel had been working on the U-Car project prior to Vauxhall joining the program, these are two mockups from 1973 for the U-Car Coupe. The bottom picture is Vauxhall proposed style rear end. In the end neither opel or Vauxhall used this. 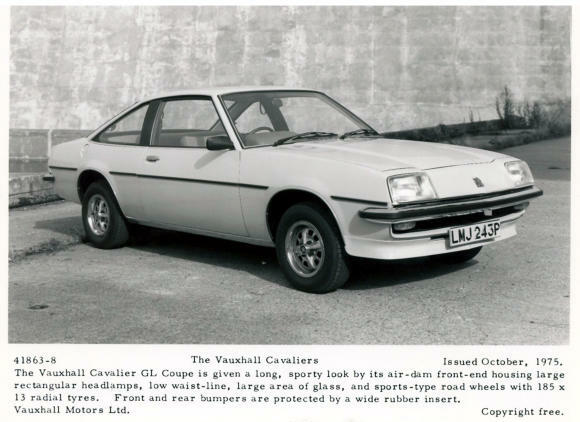 At launch the Cavalier Mk1 Coupe was available with a 1.9 engine in GL trim and the GLS. 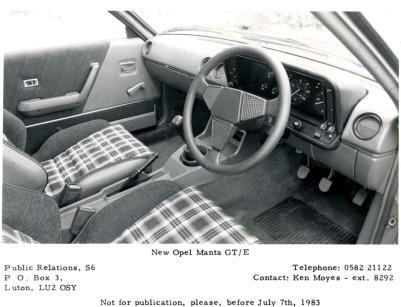 The interior was finished in cloth trim and the seats and door pads were either in black, beige, blue or red. 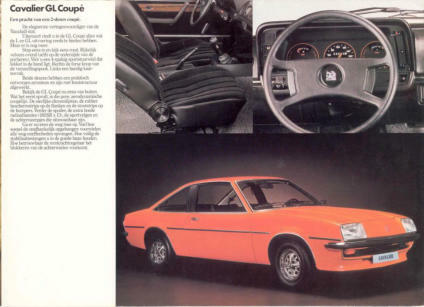 In July 1976 the Engineering Department at Luton fitted two Cavalier Coupe models with the 2.3 litre slant four engine, one was a twin carburettor the other had a fuel injection version which was developed for the VX4-90. The project was fully evaluated but never progressed any further. 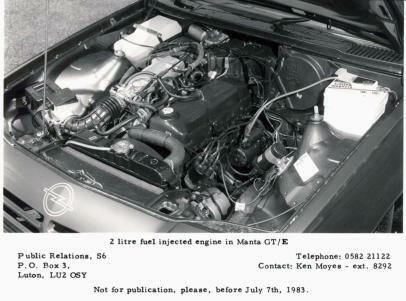 In June of 1978 the 1.9 engine was upgrade to the 2.0 100bhp engine. 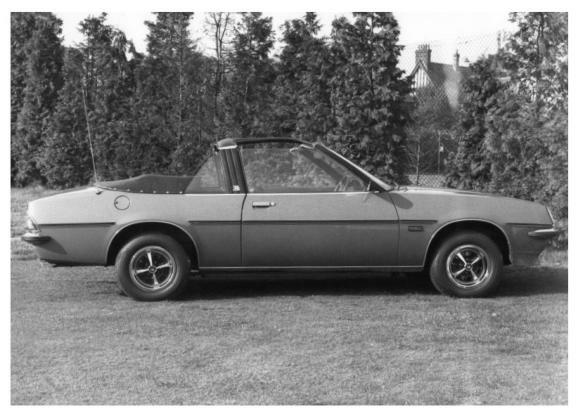 In 1979 the Coupe was dropped from the Cavalier Mk1 range being replaced by the Sportshatch. 1975 Vauxhall Cavalier Mk1 1.9 GL Coupe. 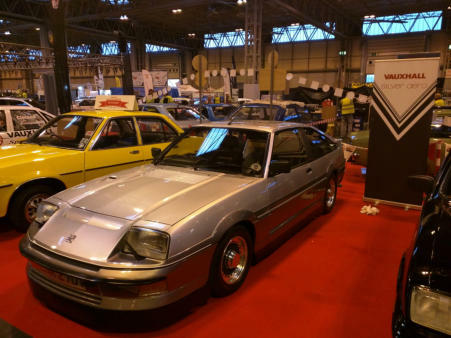 1978 Vauxhall Cavalier Mk1 GLS Coupe. 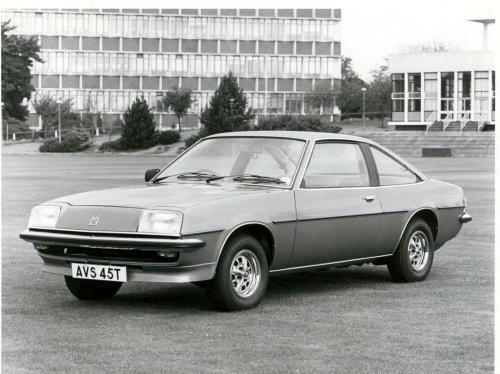 1977 Vauxhall Cavalier Mk1 GLS Coupe with Griffin House in the background.